Be it big water, grain fields or flooded timber, Manitoba offers a multitude of unique duck hunting opportunities that are frequently complimented by intriguing habitats. From sea ducks on the vast coastal shorelines of Hudson Bay to divers on famed marshes throughout the central plains, our various provincial regions present classic duck hunting experiences that are traditionally adored and geographically distinct. Lying in wonder, to a view of a 1000 mallards spiraling down into a mass of decoys, is a peak occasion that every duck hunter dreams about. It’s a period of intense disbelief, a lapse of amazement, when every sense becomes overrun by an orchestra of whistling wings and rapid chuckles. Your commitment to concealment quickly subsides, the anticipation becomes agonizing. Wings are cupped, they’re in the pocket, their landing on top of you! 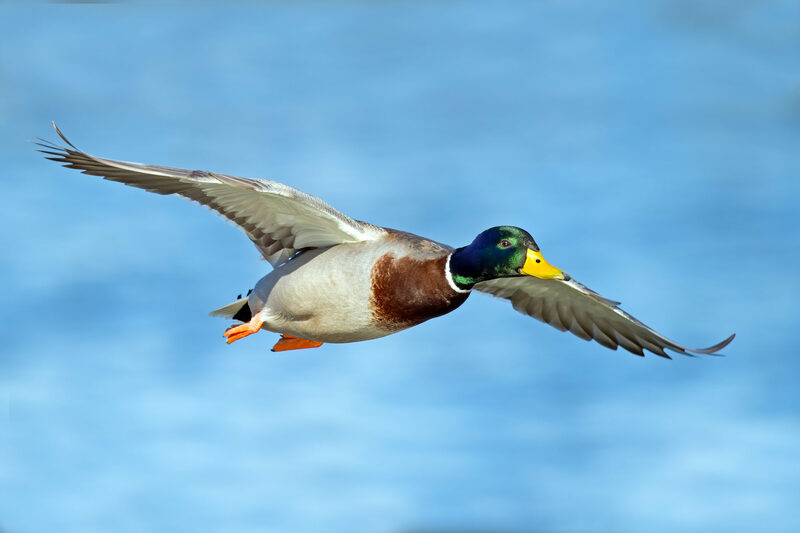 Duck hunts are popular in areas of the Northern, Parkland, Western, Central Plains Pembina, Interlake and Eastern Region. Depending on the Game Bird Hunting Zone (GBHZ), hunting season dates are primarily during the months of September through November. Manitoba is no stranger to the constant streams of migrating geese that seasonally crowd the open skies. Nor is it unusual to observe a massive volume of greater and lesser Canada, snow or Ross’s geese invade the endless tracts of fields and wetlands throughout our provincial boundaries. It’s here, where millions of acres of exceptional habitat sets the stage for one of the most chosen goose hunting destinations in Canada. Peering through the confines of a concealed blind, only to be rendered speechless from the endless flights of determined honkers hastily descending into a convincing spread, is the paramount occurrence in any goose hunters realm. It’s an overwhelming instance of expectation and eagerness. The relentless chatter of honks and moans and the sound of wings flailing above quickly takes control. They’re straight ahead, wings are set, feet are out, it’s the final approach! Goose hunts are popular in areas of the Northern, Parkland, Western, Central Plains Pembina, Interlake and Eastern Region. Depending on the Game Bird Hunting Zone (GBHZ), hunting season dates are primarily during the months of September through November, with the exception of the spring Conservation season for white geese, during the months of March through June. Commonly described as the “Big Game” of birds, the Sandhill crane is a highly distinctive migrant that annually populates the vast wetlands and grain fields throughout Manitoba. Their challenging pursuit, formidable size and sought after table qualities have afforded them a notable trademark and a dedicated following from the most fanatical waterfowlers. With an uncanny ability to spot something out of the ordinary and an intriguing appearance that reaches 4 feet in height and presents wing spans of 6 feet, the Sandhill offers one of the most intriguing waterfowl experiences in existence. You wait patiently within the margins of an overgrown hedgerow. Your cover is flawless, your profile invisible. The unmistakable echo of the most peculiar call instantly breaks the silence. Drove after drove, flying giants cautiously approach your concealed position. The first wave is high, your mind is in doubt. The second wave veers left, something’s amiss. It’s a moment of indecision, a period of unknown’s. Senses are overrun by vibrating calls and sprawling wing spans. Unwavering flights persist in your direction. Their path is perfect, your presence is undetected, they’re just overhead, the plan has succeeded! Sandhill Crane hunts are popular in areas of the Northern, Parkland and Western Region. Hunting season dates are during the months of September through November. For more information on Game Bird Hunting Zones (GBHZ’s), season dates, resident, non-resident & foreign resident Migratory Game Bird licenses or additional information on hunting in Manitoba, please visit the Manitoba Conservation website or refer to the current Manitoba Hunting Guide.